Citi’s CMO believes the bank’s innovative digital innovation and social media banking strategy will strengthen the 200-year-old business and make it more profitable. On December 5, new chief executive Michael Corbat cut over 84 branches of Citi‘s (@Citi) 4,000 branches, slashing 11,000 jobs. The move is said to be unrelated to the resignation of Michelle Peluso to become chief executive of Gilt Groupe (@giltgroupe). Citi’s announcements do not relate the job losses to the digital strategy, but in all of the 150 markets it competes in. 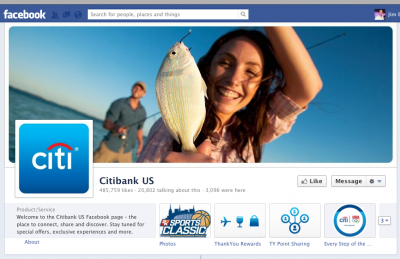 On Citi’s first touch in social media, many disagreed with Peluso and it took six months before a customer feedback tool was added to the IT systems. Although Peluso will be leaving the company in February, she points out that she will continue to supervise the digital operation for the next two months, making her chief of marketing and digital officer. Peluso also believes that it is important to focus on what customers want rather than to make other financial services companies the benchmark. Customer satisfaction and convenience are the attributes that Peluso quotes as important. On October 31, ICM research shows that 85% of UK consumers feel unrewarded of their loyalty and less than 10% would recommend the same brand to friends. Yet, only 15% would consider changing providers. On Doe’s incremental innovation, Peluso gives examples to improve existing practices through customer data with search optimization, landing page design, and display ads. The data also allowed her to argue Citi’s innovation where she pointed out the rise of online credit card customers from 10% to 40-50%. However, she also admitted that the security of digital banking tools is still a concern. In your opinion, how much will social media and digital banking help financial institutions like Citi improve their services and increase their overall customer satisfaction? We invite you to share your thoughts about social media banking, here, via twitter or on our Facebook page.